The tablet wars are on again. 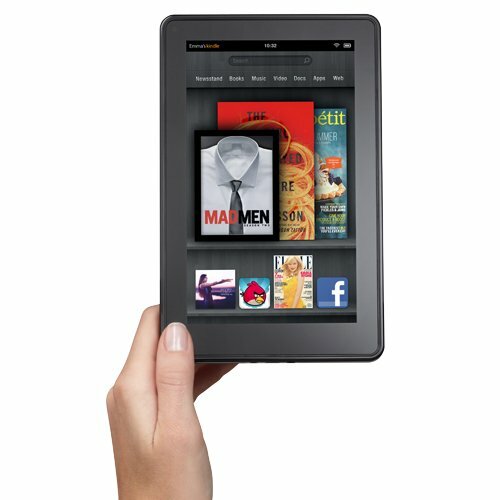 Amazon is reportedly planning to release a 10 inch Kindle Fire to compete with Apple’s iPad head-on. Perhaps this is in reponse to Apple’s plans to release a 7 inch mini iPad that will compete head-on with the original Kindle Fire. 1. The larger Kindle Fire is codenamed “Hollywood” as was reported by BGR already a year ago, before the original Kindle Fire even launched. 2. It will have a quad-core processor. 3. 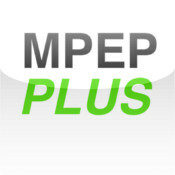 It will launch in the third quarter of 2012. 4. Amazon could price the 10 inch Kindle Fire at around $299 to compete with the iPad, according to this report. Meanwhile, the iPad mini is quickly becoming a reality, despite Steve Jobs’ repoted opposition to the project, as suppliers announce that they are preparing to ship the smaller panels. 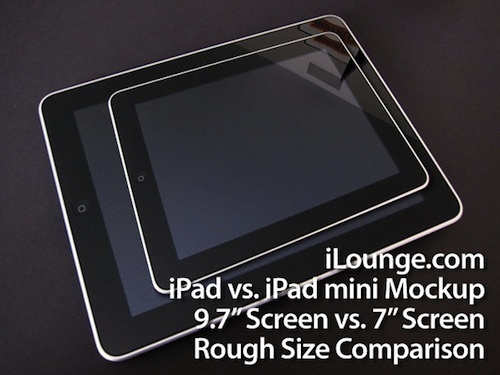 The cost of the iPad mini could go as low as $199, to really be able to compete with the original Kindle Fire. Thus, it seems that the end of 2012 will see a new round of tablet wars between Amazon and Apple. I think that more competition can only be good for the consumer, so let the games begin. 1. 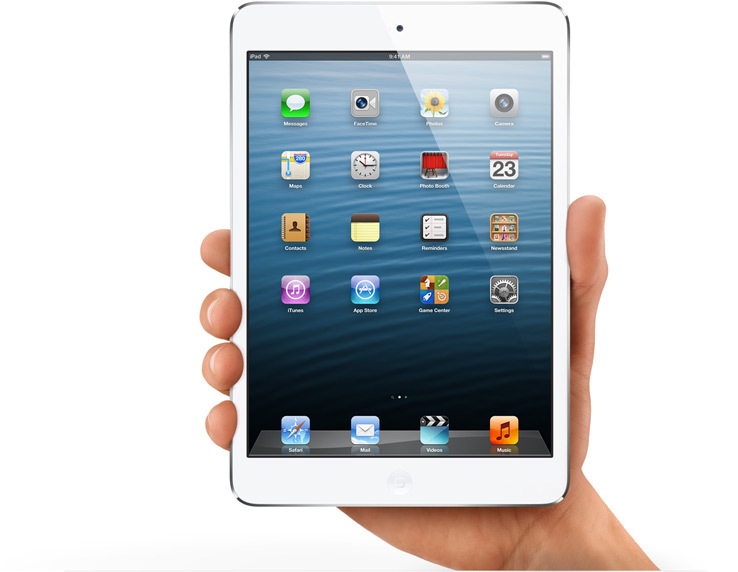 Release dates: the iPad 3 is rumored to be released in March of 2012. Surprisingly, the iPad 4 is rumored to be not far behind, with a November release date. These could simply be a mid-range and a high-end model. 2. HD display: the iPad 3 is rumored to have a retina display like that of the iPhone 4S. The display will reportedly have 1536 x 2048 pixels and dual OLED backlights to improve the LCD display. A photo of the alleged iPad 3 display was even leaked to a Korean technology forum. The photo shows that the iPad 3 may have 3 data connectors, as opposed to the 2 data connectors that are on the current iPad 2. The third detector may help to power the retina display. 3. Front-facing camera: the iPad 3 is rumored to come with a front-facing camera, which will enable users to video-chat using services such as Skype or Facetime. 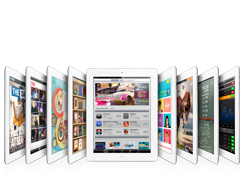 Could the next iPad ad be “If your tablet isn’t an iPad, your tablet doesn’t have Facetime” ? 4. Rear-facing camera: the iPad 3 is rumored to come with the same 8 megapixel camera as the iPhone 4S. With the advent of these new models, Apple will reportedly slash the price for the iPad 2 to $399 to better compete with the new Android-based tablets such as the Kindle Fire, which are less expensive and have been quite successful over the holiday season. 1. Pics: Skitch lets you upload pics from your iPad memory or if you have an iPad2, you can snap a photo right away. 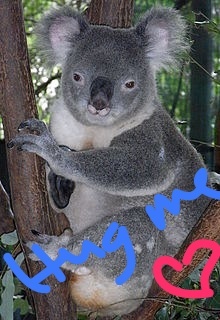 You can also download pics from the Internet into your iPad and then upload them onto the Skitch app. 2. Screenshots: You can also take a screenshot from your iPad by holding down the Home button and the On button at the same time. This will automatically save a picture of what is on your iPad’s screen into your iPad’s photo album. 3. Freestyle: You can also draw freestyle right into the Skitch app by clicking on the “Blank” button on the app’s homepage. 4. Annotate: There are several ways you can annotate. Skitch allows you to draw or write with your finger. Just click on the pencil icon and draw away! You can select the color and size of the pencil from the menu. Right now there are only 8 choices: yellow, blue, red, brown, deep red, green, black and white. Hopefully the selection will be expanded. Anyone who knows me knows that I would of course love to see purple! 5. Type: You can also type into a text box and place it wherever you want on your picture. 6. 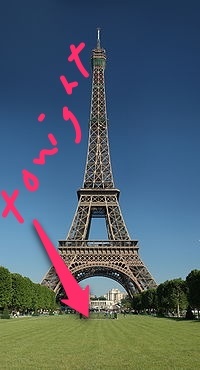 Arrows: You can select the arrow icon and it allows you to draw arrows simply by dragging your finger across the pic. 7. Share: You can share your creation on Twitter, email or Airplay. You can of course also save it to your Evernote account. I have had so much fun trying out this app. So far, it seems to be a big success. Everyone is now asking when the Skitch app will be available for the iPhone. Evernote promises that it is “in the works.” For now, I’m going to enjoy playing with it on my iPad and feeling like I can be “artistic” too. 1. Memory: It will reportedly have 8 GB of memory. This is not huge. Therefore, users will have to be selective about which movies, songs and books they want to store on the device at one time. The memory is reportedly enough to store 20 typical movies max. However, purchased media and books will remain stored in the cloud for download to the Kindle fire whenever needed using whispersync. Just like it does for books, whispersync will memorize the latest location that a user has reached on a movie, so that when the user next watches the movie on any device that has whispersync, it will pick up where it left off. 2. Size: At 7 inches, the Kindle fire will be smaller than an iPad but larger than a smartphone, keeping it in the size range of current Kindle models. It is reportedly the perfect size for reading books or watching movies. 3. Screen: The screen will reportedly be a touchscreen which uses IPS (in-plane switching technology) to allow several people to watch a movie or read a magazine on the device at the same time, by allowing a wide viewing angle. The resolution will be 1024 x 600 dpi and the screen will be capable of displaying 16 million colors and will be LCD gorilla glass. 4. Processor: The processor is reportedly a Texas Instrument ARM-based dual core OMAP CPU. 5. Browser: The browser is Amazon silk, which will use cloud processing to speed up downloading. Most of the processing will be done on Amazon’s EC2 (Elastic Compute Cloud) platform. The browser will reportedly learn which websites users frequently visit and will pre-load them. This has already raised some privacy concerns among lawmakers and critics, but Amazon insists that there are options to help protect users’ privacy. 6. Apps: The Kindle Fire will have access to Amazon’s app store and 3800+ apps, but not to all the android app market. Some android apps (present and future) may not be compatible with the Kindle fire. 7. Network: Unfortunately, the Kindle Fire will not have 3G access, but will have Wi-Fi connectivity. To me, this is the largest drawback of the device. However, an advantage is that at least there will not be any related monthly data costs, like there are with the iPad. I love my first generation iPad, but I confess I am fascinated with the Kindle Fire. I am a big Amazon consumer, and I think it will be handy to have a tablet that connects seamlessly with Amazon to allow me to purchase their movies, music and books, and then to watch, listen to, or read what I purchased on the device itself. I already pre-ordered mine, so I will definitely write a review once I have it in hand and have had a chance to test it out.